Dental tourism is a growing trend and a popular way for dental patients to achieve the perfect smile and full mouth rehabilitation at a reasonable cost. Armenia is naturally and culturally rich and considered as an open-museum country. 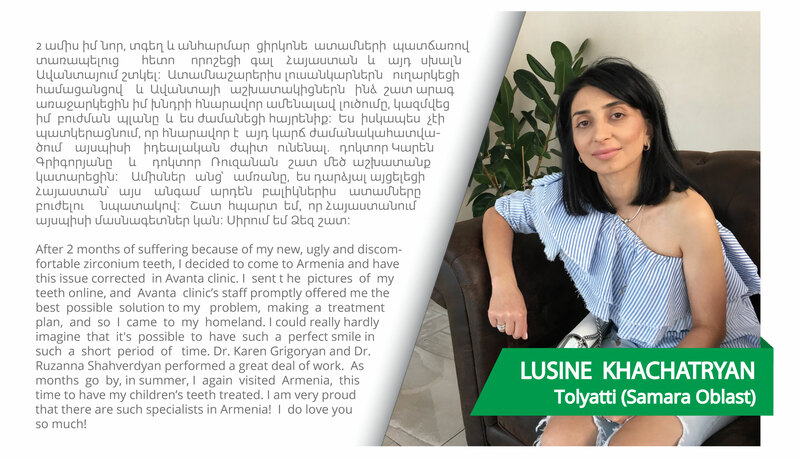 Every year an increasing number of tourists visit Armenia with different prospects, but recently a significant number of them are looking for a cheaper way of completing their dental treatment during their visit due to the high quality of dental services that one can find in Armenia. Avanta as a modern center of dentistry and implantology provides state-of-the-art dental services and treatment for people who require implants, minor oral surgeries, orthodontic treatment, endodontic treatment, fixed and removable prostheses including crowns, bridges, veneers, inlays and onlays and other cosmetic dentistry. Our dental clinic is equipped with world famous German dental equipment and technology and also with a digital panoramic x-ray machine to achieve a precise diagnosis that is for the best convenience for the patients. 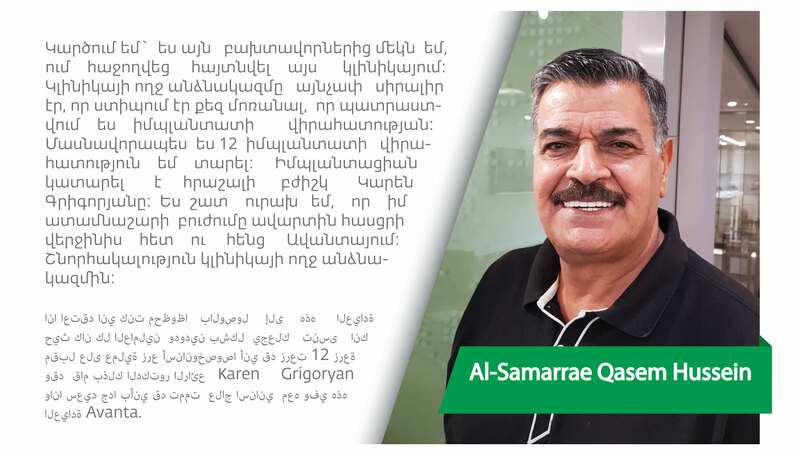 On top of these, the good news for the dental tourist is that Avanta is the only clinic in Armenia that delivers all-ceramic crowns and veneers in one appointment with cutting age German technology called CEREC. But what makes Avanta special from other clinics is that our center is fulfilled with highly qualified specialists who periodically participate in international dental symposia and follow the novelties in dentistry. 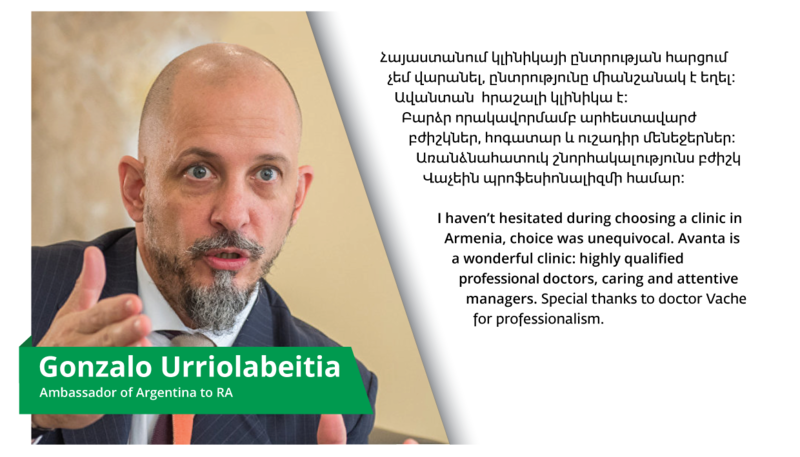 Paris, Los-Angeles, Monaco, Athens, Loma Linda, Moscow, Berlin, Shanghai, Glasgow, Dubai, London – above is an incomplete list of the places where the dentists of Avanta have passed their requalification. 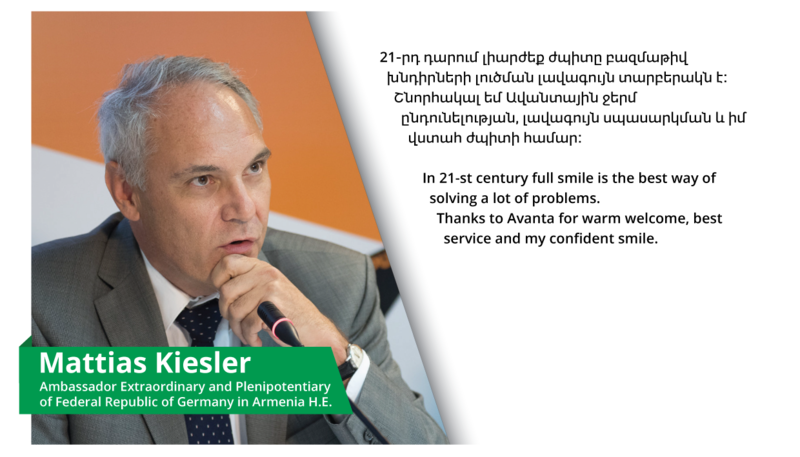 Avanta has the honor to announce that we are the official dental center that provides dental services and treatments to many international organizations and foreign embassies’ staff and their families, such as U.S.A, British and Russian Embassies. 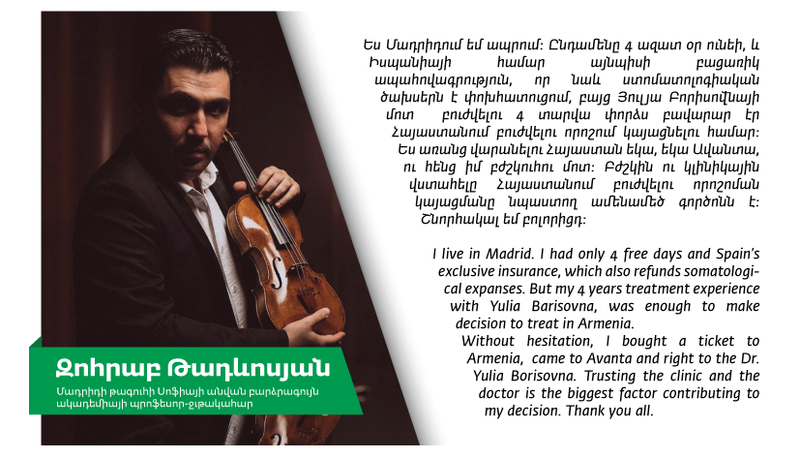 Avanta is grateful for their trust. People from Russia, USA, Europe, the Middle East, particularly the UAE, Kuwait and Oman seeking for high quality of dental treatments with exceptional price are usually visiting Avanta, that’s why the number of our overseas patients has increased enormously in the last few years. 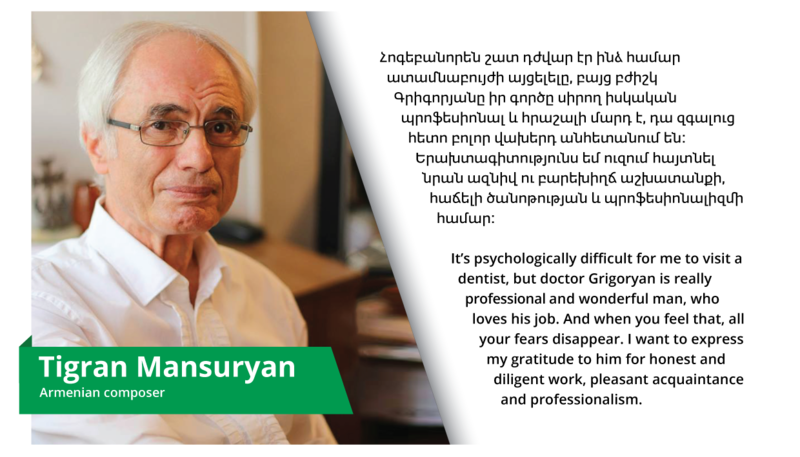 Avanta appreciates these lovely words from our patients who talked about their experience at our center.